Age 63, late of Slag Valley, IL passed away Tuesday, May 22, 2018. Loving mother of Angelica (Geordon) Garcia, Juan (Elizabeth) Quintana, Crystal (Albert Barrera) Sandoval and Marissa Sandoval. Carmen was grandmother of 5 beautiful children, Alana, Aramis, Aurelio, Jordana and Emiliano. The kids brought her joy and kept her busy. She was the Godmother to Ricardo, Alissa and Vanessa. 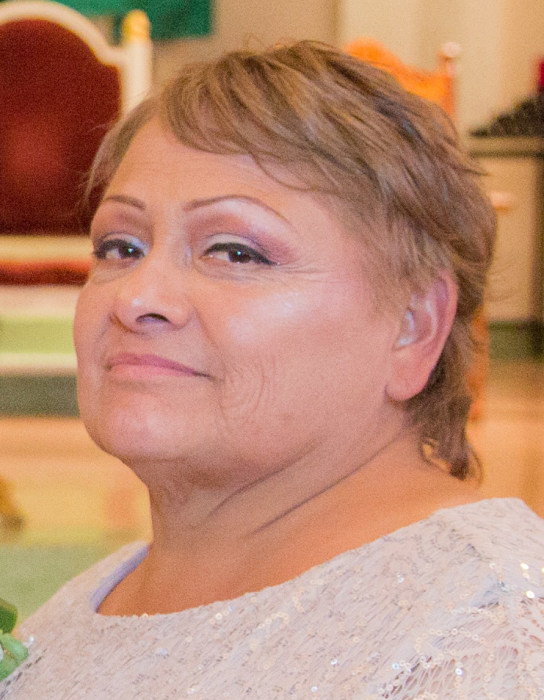 Cherished sister of Yolanda (Braulio) DeAnda, late Virginia Q. Sandoval, Juan R. Sandoval, Rosalinda (John) Barajas, Robert Sandoval, Amelia Sandoval-Colon, Lucio Sandoval, Lorenzo (Laura) Sandoval and Dalia (Javier) Mejia. Kind aunt of many nieces and nephews. Preceded in death by her parents, Rafael and Rosa, and her twin sister Virginia. Carmen began her career at Gateway Seatbelts and Mead Packaging where she met and made longtime friendships in the community. She then became a pre-school teacher at St. Joseph of Southeast Headstart. She continued her education and received her Associates in Child Development and later became a developmental trainer for South Chicago Parents and Friends where she finally ended her career in 2016.